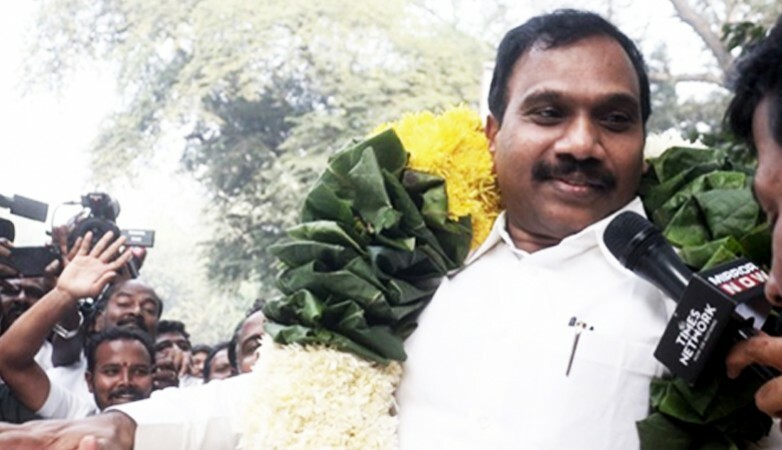 Former Telecom Minister A. Raja "did not misrepresent facts" to then Prime Minister Manmohan Singh on policy matters related to allocation of 2G spectrum licences, a court said on Thursday while acquitting all accused in the case. "It is clear that complete facts were not placed before the then Prime Minister by his own office, for which A. Raja cannot be faulted," Special Judge O.P. Saini said. The court turned down the prosecution case that the facts were misrepresented to the then Prime Minister by Raja as it observed that Manmohan Singh had seen the letter written by Raja informing him of the decision of Department of Telecommunication (DoT) and for issue of Letters of Intent for new licences, treated it as urgent and had discussed the matter with the Principal Secretary. "However, there is no record as to whether this letter was examined by the Prime Minister's Office (PMO) or not," the court said. "It was not Raja, but (senior PMO officials) Pulok Chatterjee, in consultation with (then Principal Secretary) T.K.A. Nair, as he had suppressed the most relevant and controversial part of the letter of Raja from the then Prime Minister." By the letter dated November 2, 2007, Raja had specifically informed the then Prime Minister about processing of large number of applications in the backdrop of inadequate spectrum, clearly mentioned availability for 2G services and had also categorically recorded that auction of spectrum was considered by TRAI and Telecom Commission and auction was not recommended. In another letter written by Raja on December 26, 2007, he had mentioned about his discussion with the then External Affairs Minister at great length as well as with the then Solicitor General of India. Regarding issue of new licences, Raja had explained that it is a three-stage process -- issue of LOI, issue of licence and grant of wireless licence. This letter was examined by then senior officials of PMO, Pulok Chatterjee on December 31, 2007 and was marked to then Principal Secretary T.K.A. Nair who signed it on January 7, 2008 and marked the file to then Prime Minister. The officials wrote a note after examination of Raja's letter where they discussed issues related to spectrum availability but did not consider at all the issue of new licences. The court observed that the note marked to then Prime Minister by its officials only contain a partial view of the whole issue and ignored the "most important and controversial issue of new licences." "Moreover, the note suffered from the vice of excessive length and technical jargon", the court said. "It is lengthier than the letter of Raja. Prime Minister is a busy executive. Wherefrom would he find time to read such lengthy notes." The court opined that the Prime Minister is "not expected to be immersed in files". The court also observed that somebody from the PMO had given the go-ahead to the DoT for issuance of new licences and most probably it was Pulok Chatterjee himself, as his note records that he had spoken to the Secretary. Raja had justified the changed criteria, but this important issue was not placed before the then Prime Minister at the right time. This was done only when the controversy broke out after the issue of LOIs on January 10, 2008, the court observed.